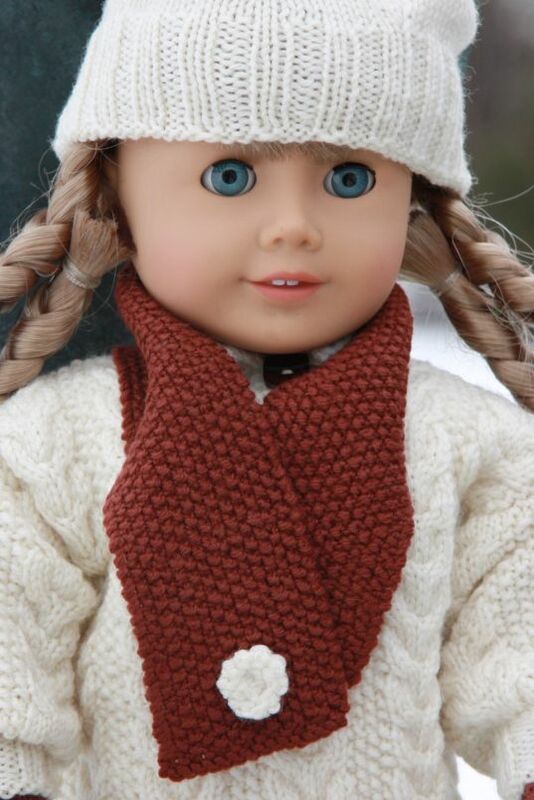 ...she is well dressed in beautiful knitted cloths in Aran pattern. 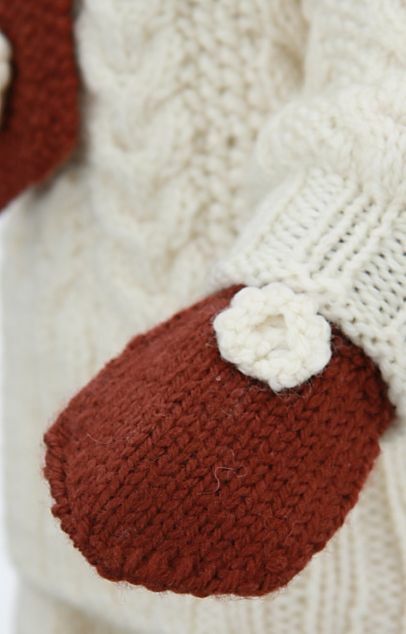 The Aran pattern comes from the Aran Islands, lying at the mounth of the Galway buy at the West Coast of Ireland. Padraig O Siochain come to these islands in the fifties. He was so facinated of the islands, the people and the clothes that he put all his impressions on to a lot of films slides. This could be part of the reason that these patterns are so well known worldwide! Typical for these patterns is band, knots and plaits. 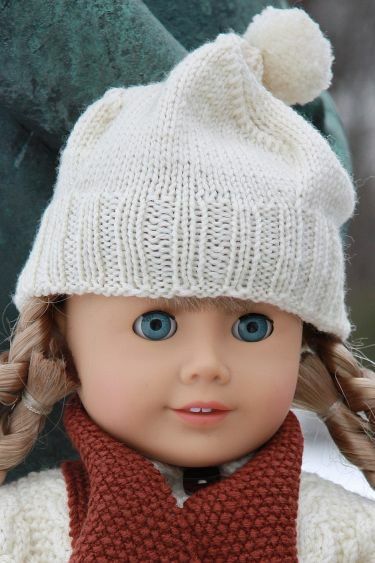 The Aran patterns are knitted in offwhite tick wool yarn for cold days. The clothes is lovely and warm! Model 0040 KIRSTEN - warm Aran sweater and Ski Pants. 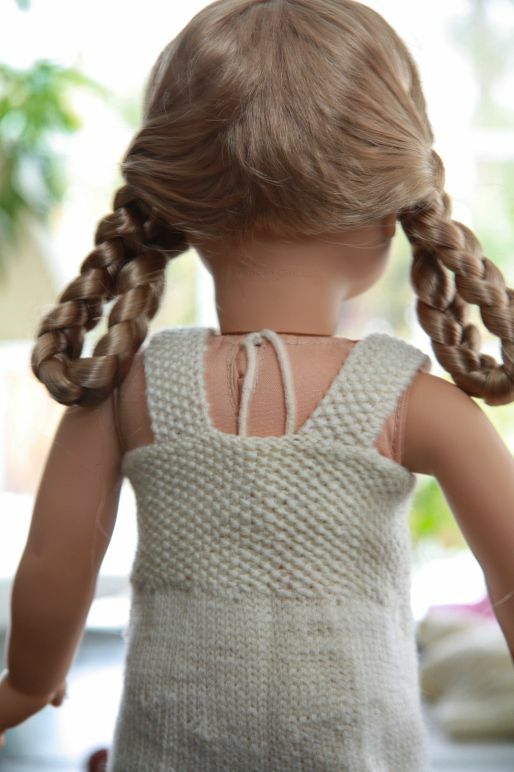 These doll clothes fit 18" dolls. I have now for the first time tried to buy a recipe and it went quite smoothly. 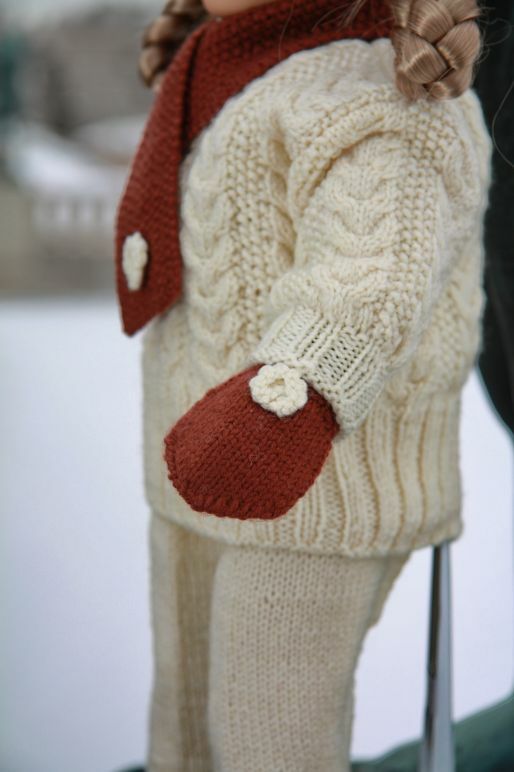 I look forward to try to knit it. I've also been in the Vigeland Park and it is fantastically beautiful.